HomeProductSnacksCliffClif Bar Chocolate Brownie 2.4oz. Organic Brown Rice Syrup, Organic Rolled Oats, ClifPro (Soy Rice Crisps [Soy Protein Isolate, Rice Flour, Barley Malt Extract], Organic Roasted Soybeans, Organic Soy Flour), Chocolate Chips (Dried Cane Syrup, Unsweetened Chocolate‡, Cocoa Butter‡, Soy Lecithin, Vanilla Extract), Organic Cone Syrup, Organic Date Paste, Cocoa‡, Alkalized Cocoa‡, ClifCrunch (Apple Fiber, Organic Oat Fiber, Organic Milled Flaxseed, Inulin [Chicory Extract], Organic Psyllium), Organic Sunflower Oil, Natural Flavors, Sea Salt. Allergen statement: contains soy. May contain traces of milk and wheat. We source ingredients that are not genetically engineered. 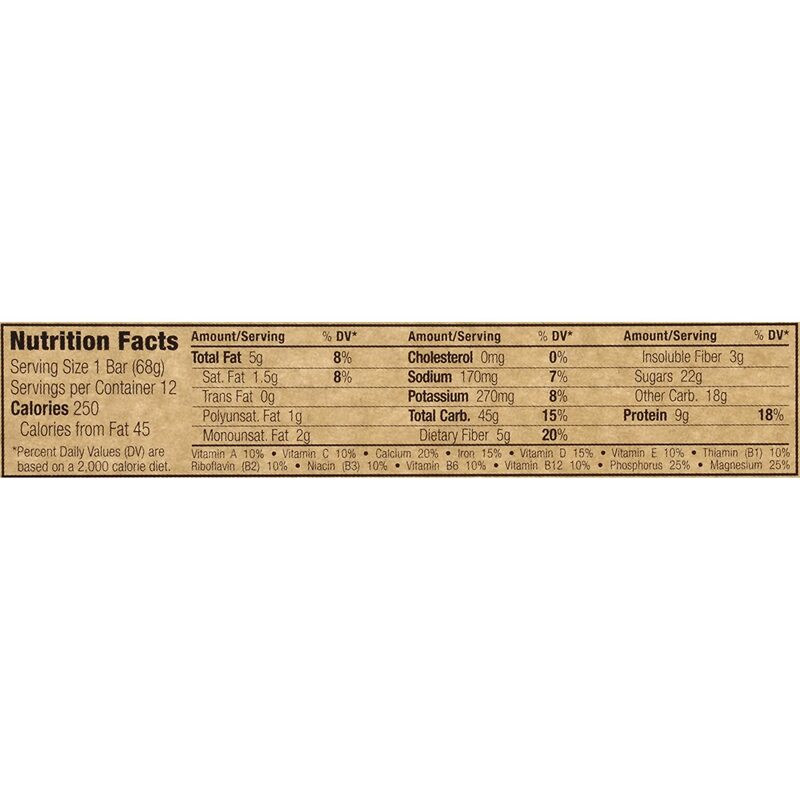 Item Description: Clif Bar Chocolate Brownie 2.4 oz.